Arizona Roof Rescue » Blog » Have Your Glendale Roofing Contractor Install Your Metal Roof in 2016 to Qualify for a $500 Tax Credit! Saving money never goes out of style and savvy Glendale homeowners know how and where to save for maximum benefits. It is no secret that over the course of the last few years, energy efficient and green roofing has become all the rage and for good reason. By installing an eco-friendly AND energy roof, you save money and do something good for the environment; truly a roofing win-win. What does that mean for you? If you are in the market for a new roof, because your old one is leaking, beyond repair or it is just time for an update, now is the time to do it. If you have never considered a Glendale metal roof for your home, you may want to check it out now! If you have never considered a Glendale metal roof for your home, you may want to check it out now, as the government just recently released information that by installing an energy efficient metal cool roof in 2016, you may qualify for a $500 tax credit. This means: you get paid to save energy and money on your monthly energy bill. That’s pretty cool. Of course, there are many other benefits of having your local Glendale roofing contractor install a metal roof, aside the government incentive. Metal roofs are one of the most durable roofing materials on the market. Glendale shingle roofs, for example, may have to be reroofed every 20 years or so, however a quality Glendale metal roof installation can last you upward of 70 years with only occasional maintenance and inspections needed. They are also very wind resistant, because the interlocking panels prevent uplifting and can withstand winds up to 140 mph. That’s pretty impressive. Aside from the already mentioned wind-resistance, they have other great features that make them an exceedingly safe choice for your roof. For one, they are fire resistant. Why? Because a metal roof won’t ignite or spark when struck by lighting or exposed to a wild fire. Since many fires spread via roofs, a metal roof can be a great safety feature. Contrary to popular opinion, metal roofs do not draw lighting, instead they distribute electricity evenly through the structure (should your roof get struck). Maybe one of the less obvious benefits is that metal roofs weigh much less than a tile roof, for example. Why does this matter? Because if you opt to swap your old Glendale roofing materials for a new metal roof, chances are, you won’t have to worry about your roofing structure being strong enough. If you decide to upgrade from shingle to tile roofing, your Glendale roofing company has to evaluate if the roof is able to carry the additional weight of concrete tiles and oftentimes, it is not. With a metal roof, you won’t have that problem. It doesn’t add much weight to your home and yet lasts forever and keeps you safe. Maybe a metal roof is not the first roof type that springs to mind, when you think about beautiful roofing materials, but fact is that metal roofs come in many different shapes, sizes and colors and can be made to match virtually any home, business and neighborhood. If you own a commercial structure you may opt for that type of metal sheeting that we traditionally associate with metal roofing. For homeowners in Glendale and surrounding cities, there are a myriad of beautiful metal shingles available that are sure to make a statement. However, more and more homeowners are loving the unique look standing-seam metal roofing can add to their home. Which design you ultimately choose is up to you and your roofing contractor, who can give you some advice about which design will work best with your individual roof. Apart from different systems, they also come in a myriad of materials ranging from steel, galvanized steel, copper and more. Check with your local metal roofing professional about which type qualifies for your tax break and provides the biggest benefit for the environment. Okay, maybe not right off the bat as initially a metal roof will cost you a bit more than a more traditional type of roofing material, but be assured that down the road it will be absolutely worth it. Why is the initial cost higher? Because for one, metal costs more than your average asphalt roof shingles and the installation requires more skill as well. But then, you have a roof that you probably won’t ever have to replace, that only requires minimal maintenance and saves you money just by being there. That’s pretty awesome! So aside from not having to be replaced and maintained as frequently as other roofing types it cuts down on your expenses by being extremely environmentally friendly and friendly to your wallet as well. Energy savings: Your metal roof reflects solar radiant heat exceedingly well which can lead to energy saving costs of up to 25%. To get a better idea about how much energy it can save you and how it translates into actual number check out this table. Sustainability: Metal roofing is a green roofing material. Why? 20 billions of asphalt shingles are finding their way to landfills every year, in contrast metal roofs are made up of up to 95% recycled materials and can even be installed over existing roofs, significantly reducing what goes into landfills. If you are still wondering whether a Glendale metal roof is a good way to go, the answer is undoubtedly :yes! Contact your local Glendale roofing provider to learn more about which metal roofs qualify for the tax break or check out some important facts about the tax credit here. If you are like me, you always feel like you are late to the party, but even if you installed your qualifying metal roof last year, you may still get your tax rebate this year. Check with your tax professional. 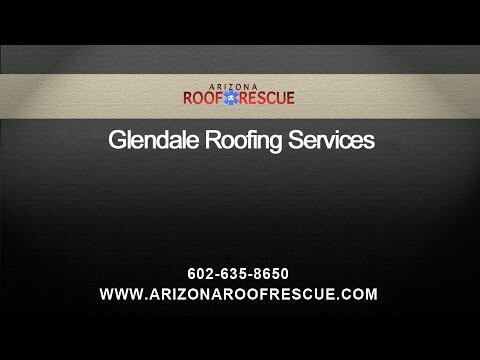 Arizona Roof Rescue has been Glendale’s top roofing contractor for many years. No matter if you are in need of roof repair, maintenance or a new roof, we can help. Contact us today for a free estimate or to learn more about our affordable roofing services. Home » Blog » Have Your Glendale Roofing Contractor Install Your Metal Roof in 2016 to Qualify for a $500 Tax Credit!